It’s been an embarrassingly long time since we blogged at North West Outdoors. We’ve had a very, very busy summer, but things have quietened down a bit now so here’s a short blog to get things rolling. We promise that more are in the pipeline. 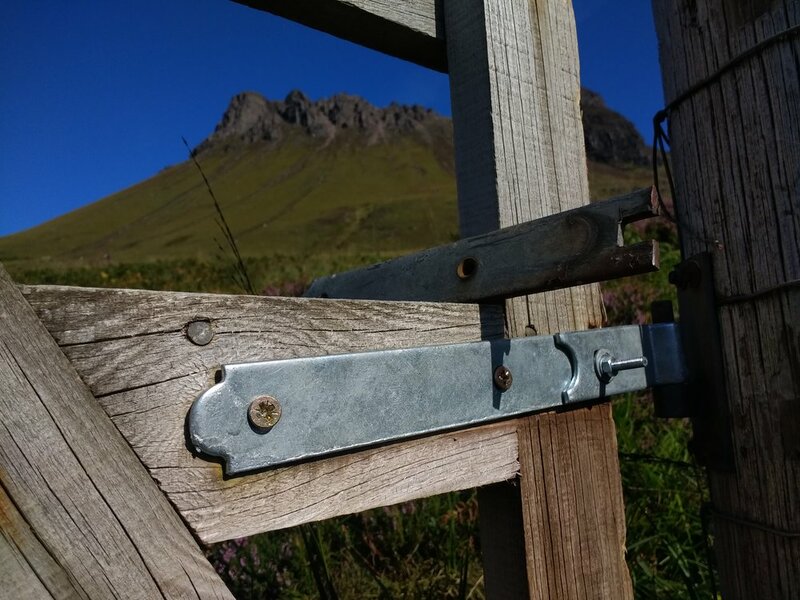 Stac Pollaidh’s been very busy too and one of the gates in the deer fence has been broken for some time. Never fear, the North West Outdoors hill maintenance team have been in action and the new hinge is now in place. Enjoy.